Stem cells are the cells from which all the other cells in our organism derive from and have enormous medical and scientific potential. This potential is the reason scientists continue to research the possibilities and hypothetical functions of stem cells. There is promising research demonstrating the beneficial uses of stems cells in treating or even curing spinal cord injuries, Parkinson's disease, heart disease, and cancer amongst others. One of the most recently recognized uses of stem cells is the banking of umbilical cord blood containing hematopoietic stem cells. While adult stem cells are found with dedicated specializations in tissues, embryonic stem cells are pluripotent and able to produce any type of cell in any tissue of the body. This is one of the main reasons for the scientific attraction to researching stem cells. They may potentially be able to regenerate cells and tissues that have been damaged or destroyed by injury or illness. 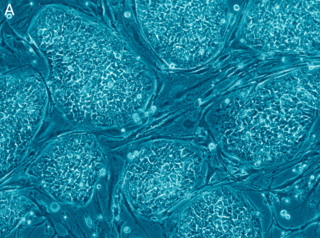 Maintain the undifferentiated characteristics of the initial or primary stem cell. Become a different or new cell. The cell will lose its stem cell characteristics and will become a cell that is specialized in a particular function. Taking into consideration its features and origin, the stem cells can be divided into a few groups. 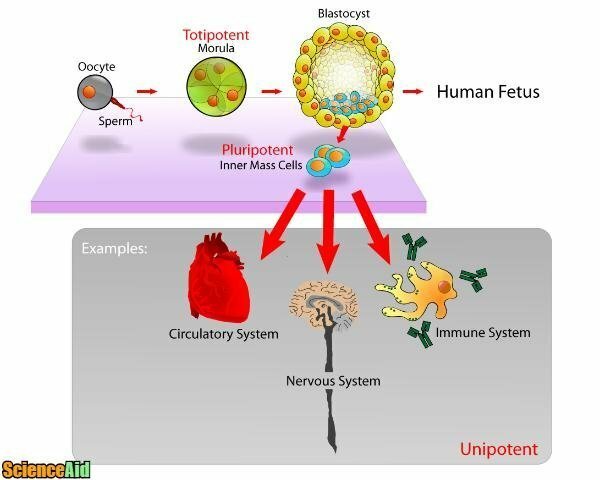 Totipotent:" these stem cells are capable of forming all types of cells in the body, including extraembryonic ones. These cells constitute the first group of cells that are formed in the first 72 hours after the fertilization of the egg. The Zygote is a totipotent stem cell. 'Pluripotent:" these stem cells are capable of forming any cells, except the Extraembryonic Annexes. These cells are capable of creating all the organs and tissues, but they are not capable of forming a whole new organism by themselves. Multipotent:" these stem cells have more limited differentiation potential, and can only create new cell lineages that are derived from their tissue of origin. 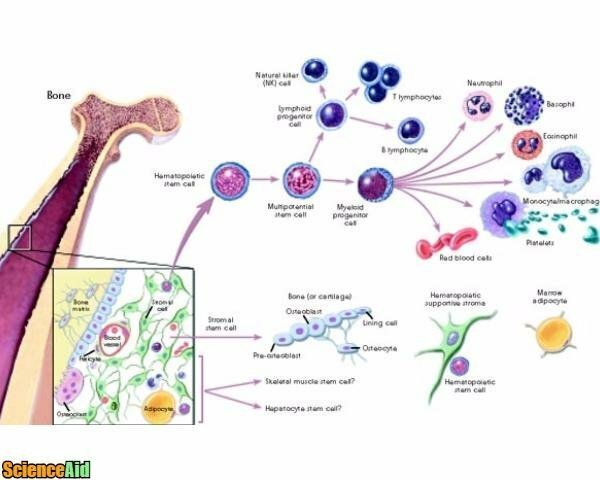 For example, a hematopoietic stem cell can only originate cells of this lineage, like erythrocytes and megakaryocytes (cells that originate the platelets). The ethical barrier: These cells come from a fecundated egg, and there are a lot of groups (mostly religious) that are against using these cells. Challengers maintain that a fecundated egg is already a person, so the use of its cells would be the same as murder. 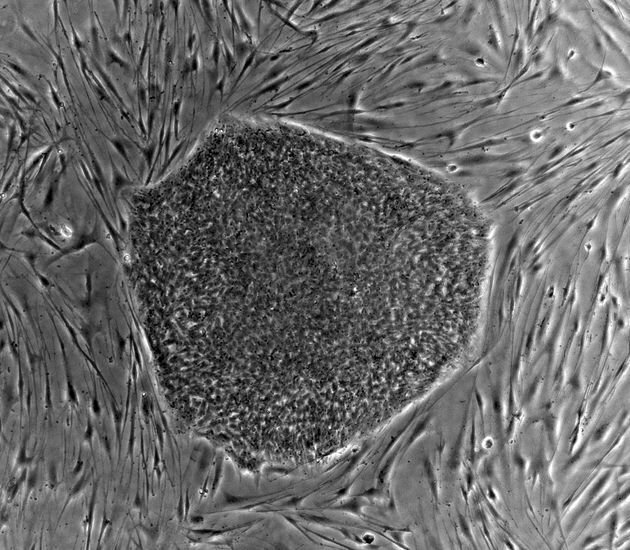 The safety barrier: The embryonic stem cells are pluripotent and divide very quickly creating a diversity of cells. Because the cells divide so quickly it is difficult to control the division and ensure the correct division occurs. This increases the risk of tumors and other complications. There is also a change of an immunological reaction by the patient's organism when they are transplanted. The adult stem cells are multi potent, which means that their division and differentiation is limited to the tissue where they are found. These cells are found in essentially all the tissues in our organism. These cells are already utilized in medicine. For example, stem cells have been used in bone marrow transplants since the 1970's . Adult stem cells have their division and proliferation limited to a single tissue, so the chance of creating tumors is very small which makes their use safer. Since the 1980's, stem cells have been used in skin grafting for patients with life threatening burns. Stem cells have recently been used in repairing damage to the cornea, . These cells are different from the embryonic and adult stem cells because they are not naturally occurring. 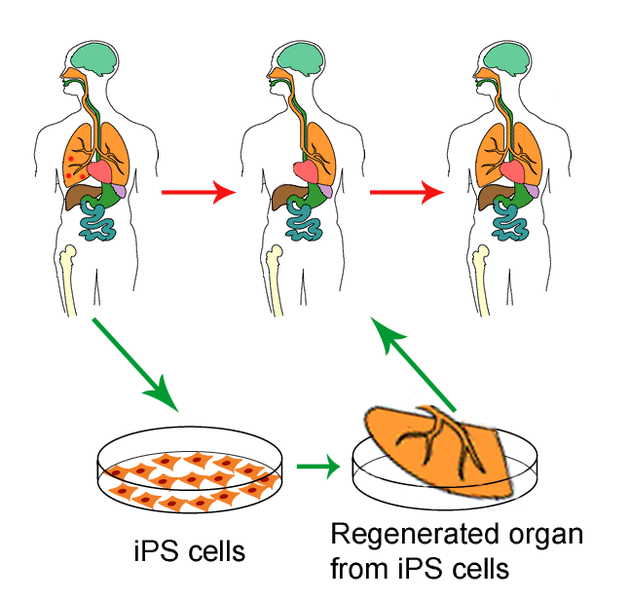 The IPS cells (Induced Pluripotent Stem Cells) were first "produced" in 2007, by using skin cells. This process is induced by inserting specific genes inside the cells' DNA and reprogramming their genetic code. With this new "program" the cells go back to their pluripotent stage, expressing once again the self-renovation ability and their potential to differentiation into any cell in the organism. One of the largest fields of research lately is the Regenerative Medicine. There is a real necessity of treatments for organs and tissues that have a limited ability to regenerate, particularly the heart. Scientists and clinicians know that the division of the heart cells is very limited and slow so any injury that happens in the heart is a medical challenge. So far the only alternative to most diseases that affect the heart is the transplant, focused and ongoing research into the use of stem cells could change that in the future. The use of adult or IPS stem cells as therapy could overcome a lot of struggles that are currently faced by doctors and scientists. IPS could offer substantial solutions across science and medicine. There is still a lot of research needed before the use of stem cells becomes safe enough and studied thoroughly enough to be regularly used in medicine, but there is no denial that we are getting closer and closer. MLA (Modern Language Association) "Understanding Stem Cells." ScienceAid, scienceaid.net/Understanding_Stem_Cells Accessed 23 Apr 2019. Chicago / Turabian ScienceAid.net. 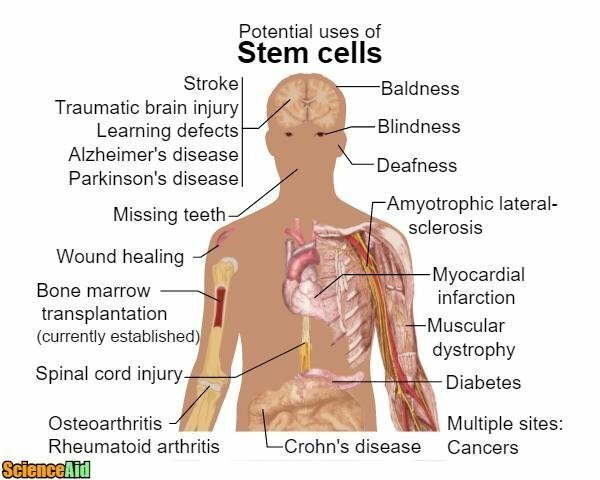 "Understanding Stem Cells." Accessed Apr 23, 2019. https://scienceaid.net/Understanding_Stem_Cells.